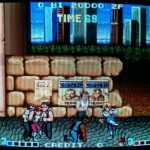 It’s the round on the repair bench for an undisputed arcade masterpiece … Double Dragon! 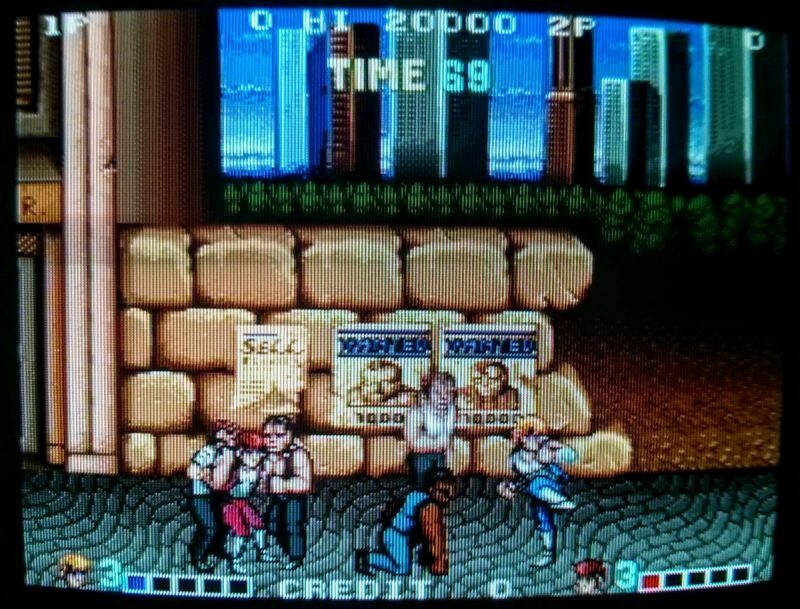 It’s for sure the godfather of all the cooperative beat ’em up of all time. It was developed on 1987 by Technos Japan and distributed in North America and Europe by Taito. The board was sleeping in my personal collection probably for over 20 years, until few days ago when a friend of mine Sasha asked me for this game. I “quickly” found it and i left it on the bench for testing. 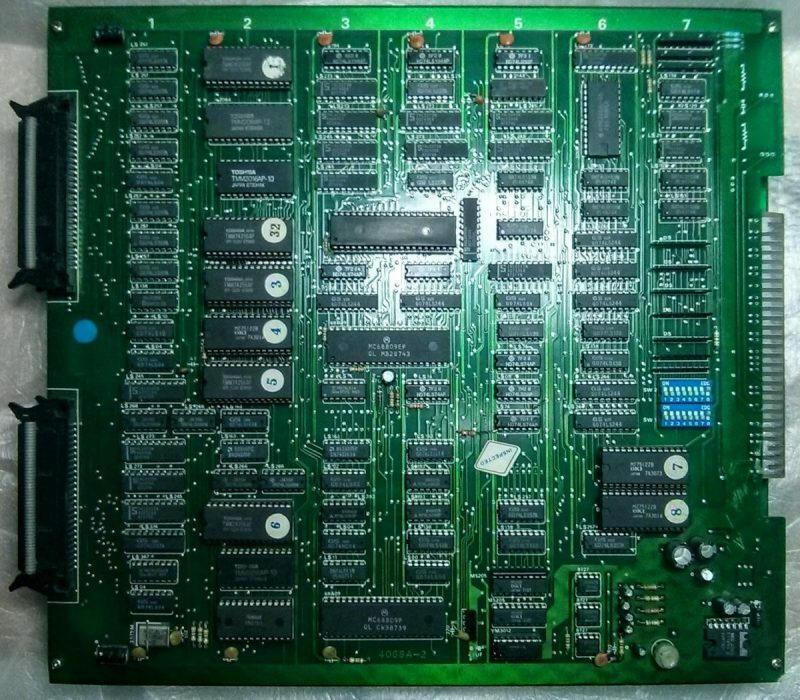 The board was running fine, it can be coined up and both player controls were in working condition, except for a partially missed audio. The speech syntesizer section a couple of OKI M5205 seems working but the game is lacking of FM music, so it need further investigation and troubleshooting. The speech FX were working so the coulprit should be before the amp stage on the audio chain of the board. The audio section is populated by a classic arcade tandem: a Yamaha YM2151 FM synthesizer and it’s trusted and partially scratched DAC friend YM3012. Both chips were already socketed so they can be easily swapped. GOTCHA! Now the board is playing music too! 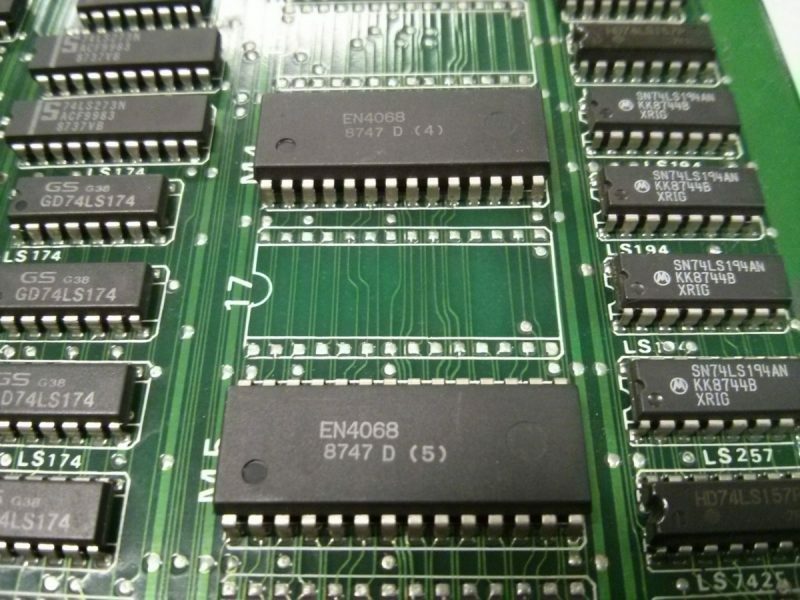 The boards equipped with the HITACHI chips share the same two PCB sandwich layout like the original one, the boards equipped by the M680x should be on a single PCB. 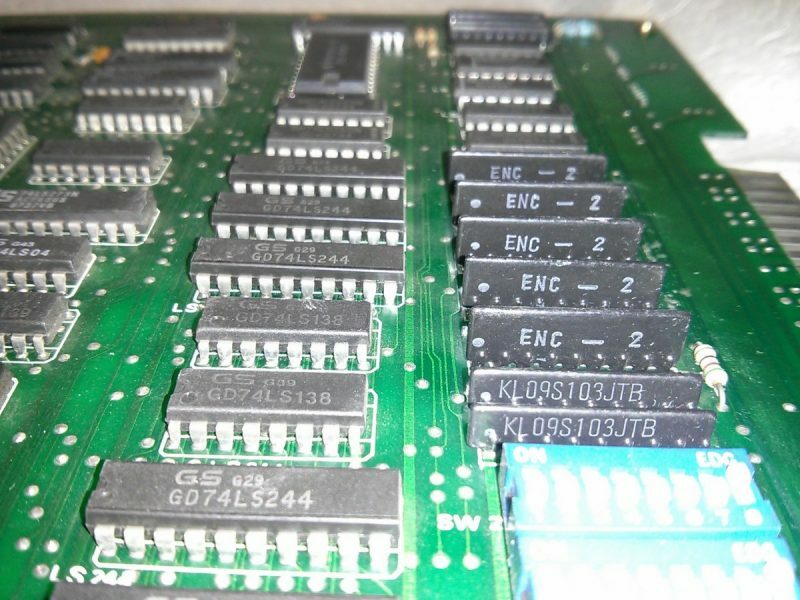 Dumping the program ROMS and comparing them against ROSICA gave me different matches, most of them were present in both bootlegs and original boards too. 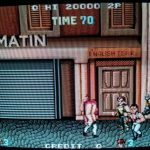 The comparisons helped me identifying the RomSet almost identical at the “ddragonb, Double Dragon (bootleg with HD6309)” present in the MAME driver except for the i2 ROM that gave me no match. The i2 ROM is the one labelled “32″ on the picture above. 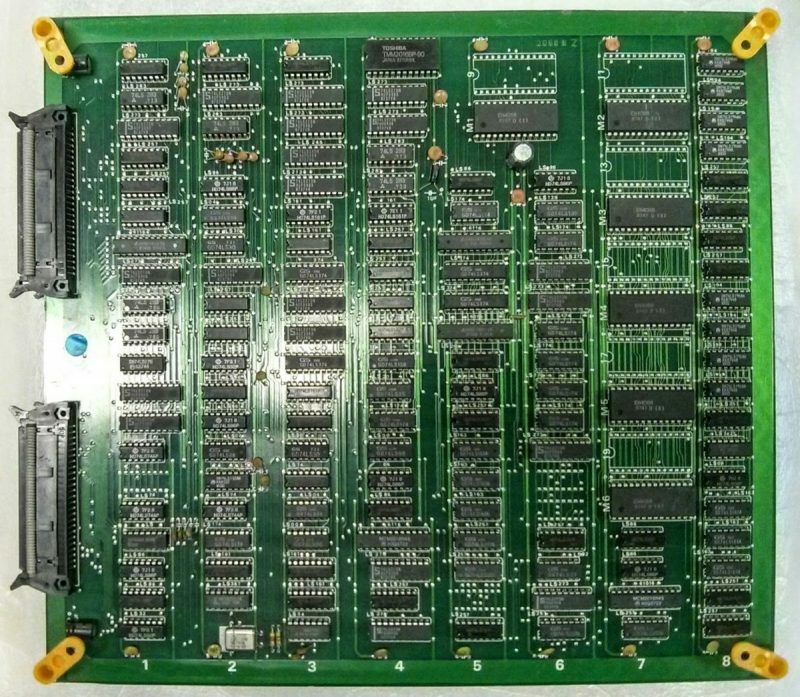 If i weren’t wrong i think i should own another Double Dragon board, and i started searching for it wondering if its PCB was made with the same layout, ad i found it. Both boards are identical, but the newcomer isn’t equipped with the unknown EL1200AR but with a scratched DIP40 ic mounted on a socket. The markings seems to be gone, but using some water some clues can be spotted. 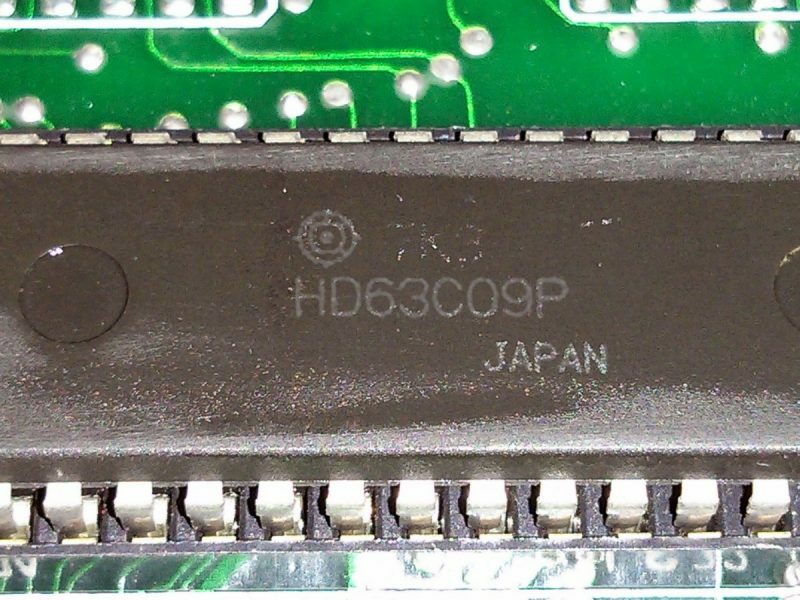 As you can see, superimposing a good known chip marking using Photoshop reveals a quite perfect match, the misterious IC is a sanded and rebranded Hitachi HD6309. 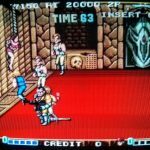 Now it’s time to write down a MAME driver for this ROMSET, with a special looking at the different unknown i2 ROM found. 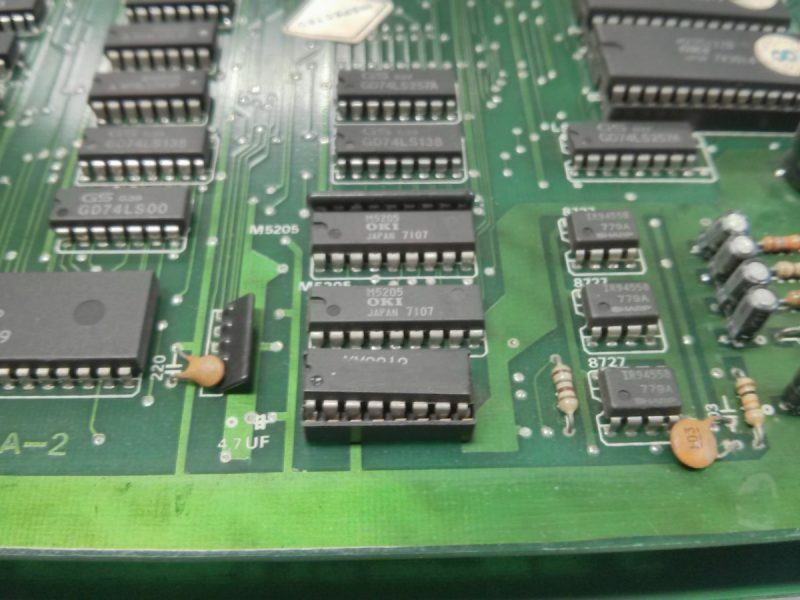 Looking at other boards pictures on the internet reveals another big question mark laying on the bottom PCB. 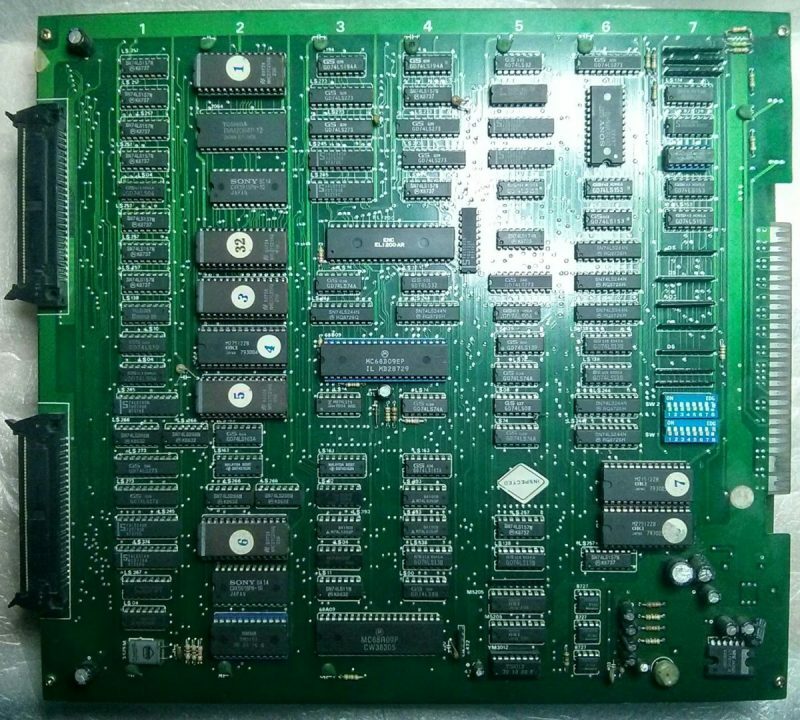 This board is populated by half of the EPROMS like other boards, very strange … maybe this bootleg was missing something? 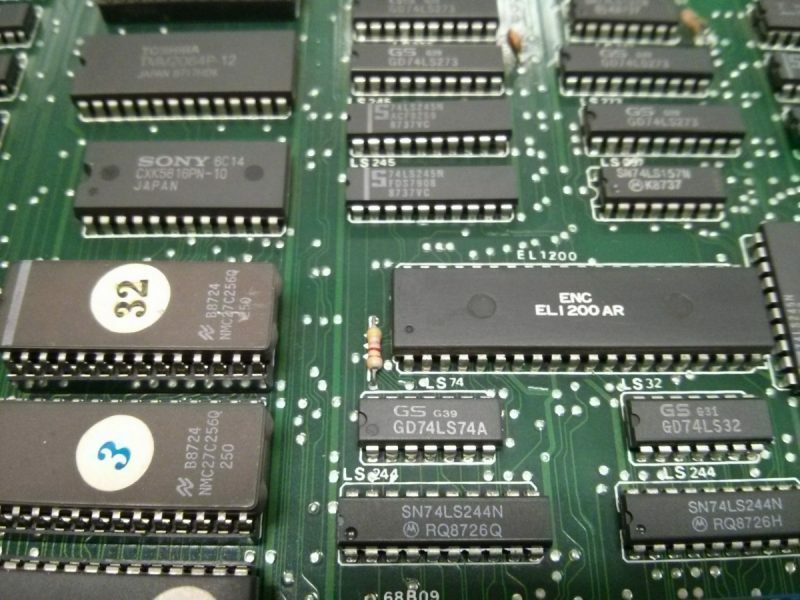 The board on startup is performing a self test by testing some IC and all EPROMS and they were reported as good, but as we know, we can expect the unexpected by bootleggers! These custom EPROMs/MASKROMs are marked EN4068 and they should be a 1Mbit devices on a 28 pin DIP package, i tried to read one of them on my LabTool48 Programmer using auto ID the software reports as device Manufacturer/ID 0x22/0x22, maybe it could be useful for someone out there, or maybe this information could be totaly useless too. 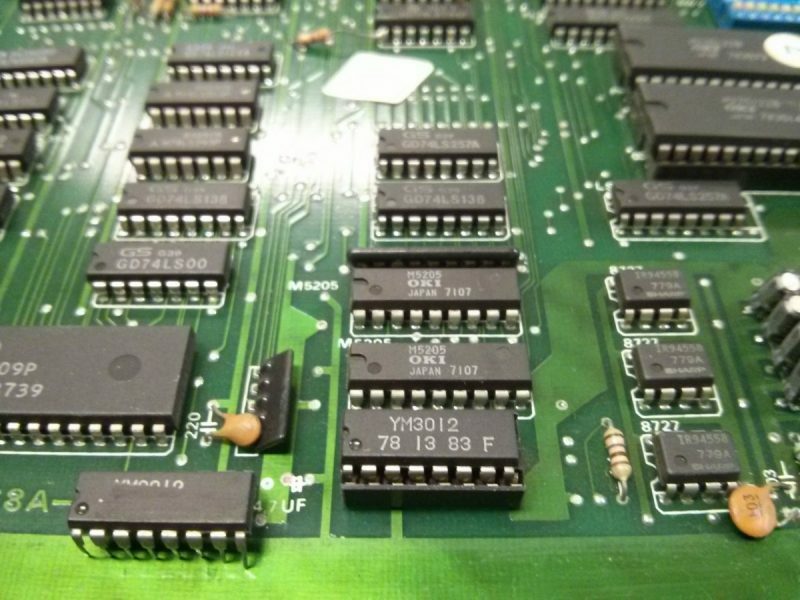 Notice: the board is populated also with some custom resistor arrays marked ENC-2. 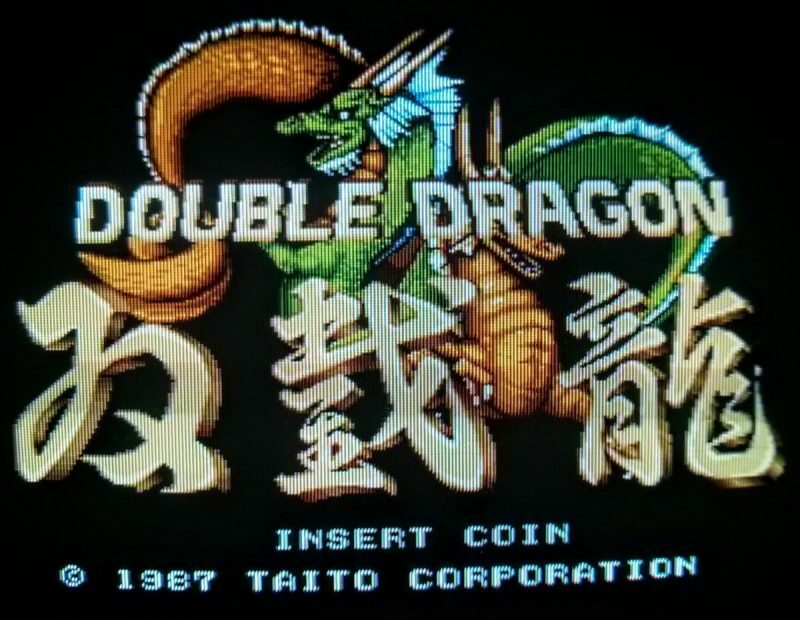 hi nick, i think there should be another double dragon bootleg board laying around, if you need any tips or info feel free to drop me an email. Do you still have the bootleg board?